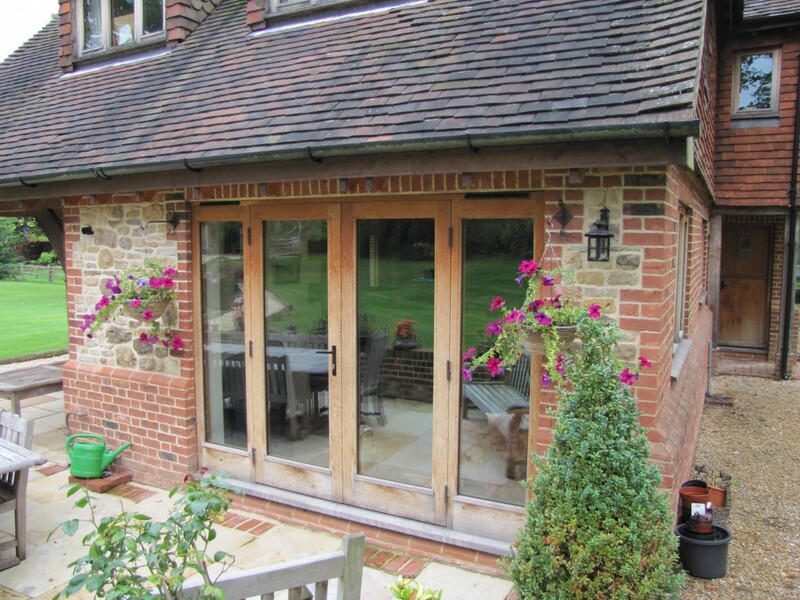 Our highly skilled craftsmen manufacture a wide range of high performance French Doors in Traditional or Contemporary styles.Doors can be fully glazed, have panelling to the lower section or Georgian bars for example. They can be manufactured in a wide range of timbers including joinery grade softwood which is then Protim pressure treated with the option of a hardwood sill, European oak, Hardwood, Accoya or locally sourced Sweet Chestnut. The Protim pressure treatment is a tried and trusted method of preserving timber against fungal decay and insect attack for internal and external timbers in above ground applications. 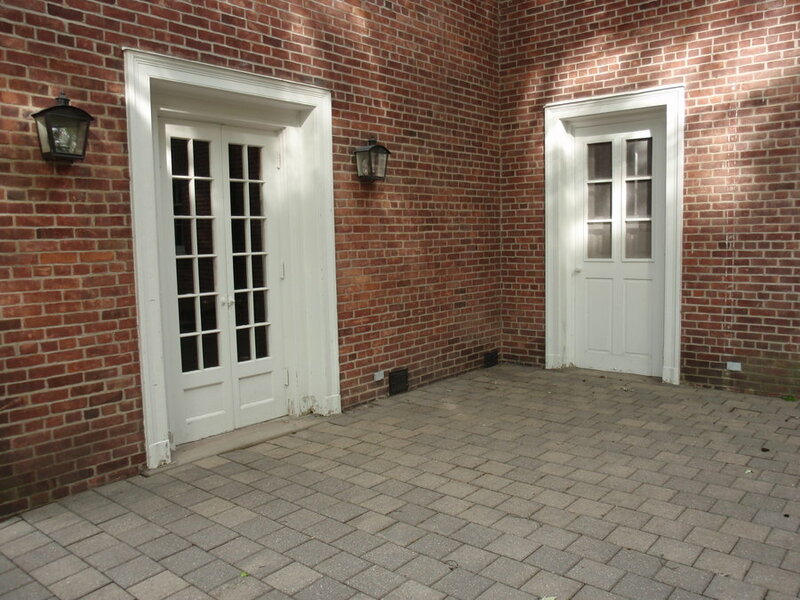 We can also supply and fit either espagnolette security or other traditional locking systems as preferred with a range of contemporary or more traditional style handles. In order to ensure that double glazed French Doors are compliant with the new Building Regulations in force from 1st October 2010, we glaze the doors in 24mm clear low e soft coat argon filled warm edge toughened double glazed units as standard. Dependant on the timber and final finish required, doors can be fully spray stained or painted using Teknos microporous paint system, Woodguard paint system or when using European Oak we can finish using Danish oil.